One of the latest reports by the WWF is giving a price on the protection of the Amazon rain forest, which represents by itself 40 percent of the global remaining rain forests. Current prices of avoided greenhouse gases emissions and other services provided by the forest – like erosion protection – aren’t valued enough yet to make it profitable for Brazilians to save their forests. So to the study, developed countries would have to pay local populations to avoid the cutting of all these trees and the preservation of this beautiful region. Global payments for ecological services rendered by the Amazon such as the carbon retaining in its forests could go a long way to preserving them, a new study has found. 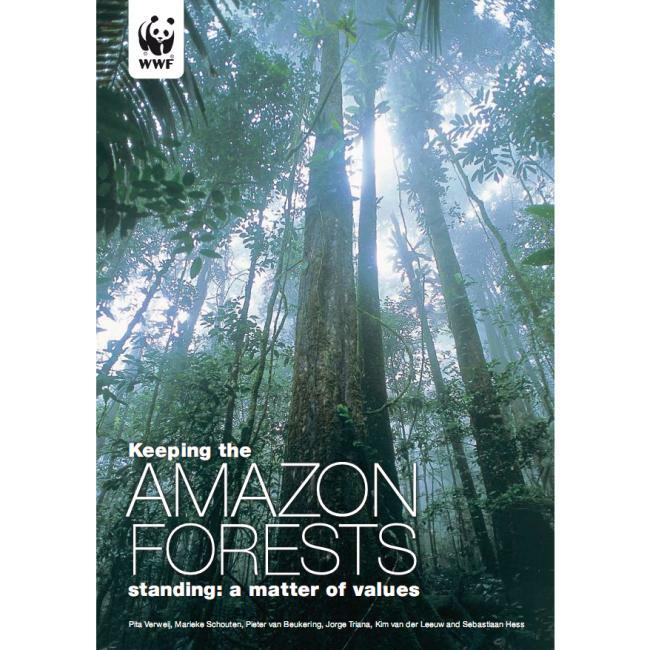 Keeping the Amazon forests standing: a matter of values, carried by the Copernicus Institute of the University of Utrecht on behalf of WWF, valued the avoided emissions from deforestation or degradation over large areas of the Amazon at between 55 and 78 euro per hectare per year. These include erosion protection (up to 185 euro per hectare per year) , pollination services by rainforest insects (38 euro/$49 USD) per hectare per year in Ecuadorian coffee plantations), forest products such as honey, fruits and mushrooms (40-80 euro) and ecotourism (2.5 -5.5 Euro). While the the major areas of Brazilian soya production are outside the Amazon, the economic interest for this commodity is adding to pressure in the region. The WWF report shows that the revenue currently received from economic activities in which the natural environment remains intact is not high enough to offset the non-sustainable activities, but finding mechanisms to secure global payments for the forest’s ecological services would be a major impetus to both preserving the forest and paying for and providing for proper management. The key emerging likely mechanism as the world tackles climate change is the s so-called REDD mechanism (Reduced Emissions from Deforestation and forest Degradation) where industrialised countries would pay for forest preservation and the combating of CO2 emissions in tropical countries. The plans for this mechanism allow for large money flows to become available for sustainable forest management, which will also benefit local communities such as the native population of the Amazon region. On the same topic, Treehugger recently noted that 80 percent of the deforestation can be credited to cattle pasture. Learn out more there. It is perhaps time for Earth’s citizens to act in a global way. My good friend Tim sent me last week an article he read on how wealthy citizens buy some land (rain forests around the globe) to protect them. If you want to act too on that very topic by yourself, you can save an acre of Rainforest with the World Land Trust. Thank you kindly for your raising awareness of the World Land Trust (WLT) and its efforts to protect rainforests. I just like to take this opportunity to point out that all the funds the WLT raises are passed on to partner organisations in the countries where the Trust is working to protect wildlife habitats. It is these organisations that ultimately own and manage the land WLT’s donors save, not the donors or the Trust itself. On a lighter note, while we do indeed receive funds from wealthy supporters, it is by no means a requirement to be rich to help save rainforest! Every little helps and currently it is possible to save half an acre of wildlife habitat for as little as £25. Thanks for this most interesting explanation and for commenting here. With the low British Pound, it is most interesting for continental Europeans to help saving the forests. I hope this note will bring you people.